Wouldn’t you like to say goodbye, forever, to the dangerous, unpleasant job of climbing ladders to clean out your gutters or the expense of paying someone else to do it? You can save time and energy with our maintenance-free gutter guards. These gutter covers allow water in, but keep the leaves and debris out. Our gutter guards are affordable and are backed with a lifetime clog-free guarantee. 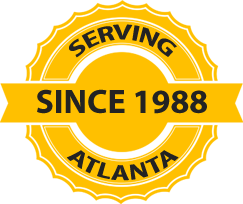 The AtlantaRoofing.com gutters are meant to capture the rainwater from your roof and carry it safely into a downspout away from your soffit, fascia and foundation, where it can cause damage. But ordinary gutters also capture leaves, twigs and other organic debris that can cause them to clog during rainstorms. The gutter guard design allows rainwater to travel down and around its curved hood and into the gutter, while deflecting leaves and debris. At AtlantaRoofing.Com we use quality gutter guards that are custom fit, durable and available in a wide variety of colors. Secure attachment to your gutters. The use of surface tension to channel water into the gutter, while preventing debris from entering.